It’s been a busy month here at Alderleaf! Our summer courses are in full swing. Our shorter summer classes give folks a chance to get outdoors and learn the wilderness skills we know and love. We put on a custom class for the Seattle Mountaineers youth program this year. 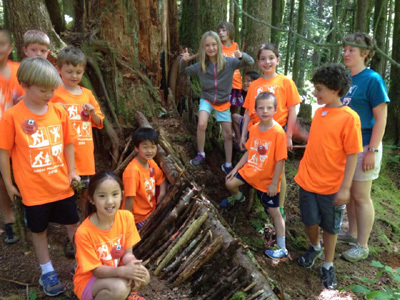 Pictured above are some of the kids posing with a partially completed survival shelter that they helped to build. During the same program, one of our apprentice instructors, Joe, is seen above teaching the kids about a friction fire method known as hand drill. During the weekend Home-Scale Permaculture Course, students learned through demonstrations and hands-on activities such as planting a companion guild with a Chinese chestnut tree. 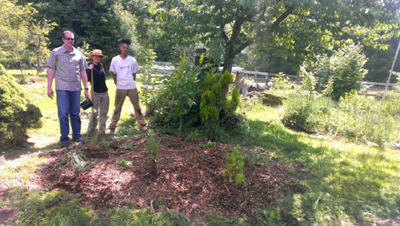 The planting was done to attract beneficial insects, fix nitrogen in the soil, and to add dynamic accumulator plants. These companion plants will aid the health, growth and productivity of this nut bearing tree. 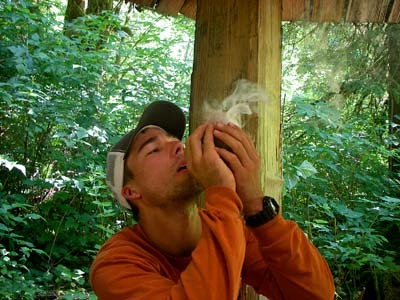 We also regularly teach a five-day Survival Intensive Course. 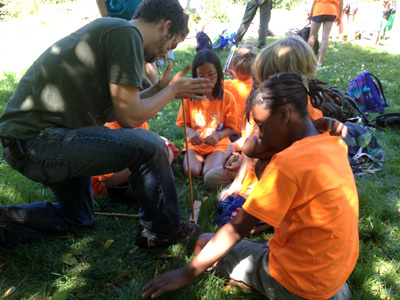 Our students learn how to build shelters, start fires, and find wild edible plants among many other skills. Pictured above, one of our students blows on a friction fire coal until it lights into flame. The flaming bundle of tinder is then carefully inserted into a pre-built fire structure. 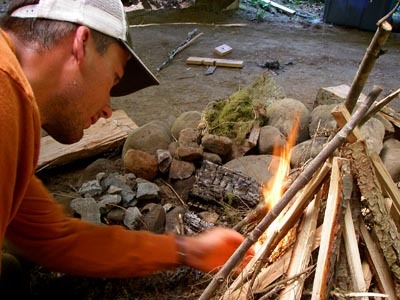 Proper fire construction is a vital wilderness survival skill in the Pacific Northwest. You want every advantage you can get when trying to burn wet wood. 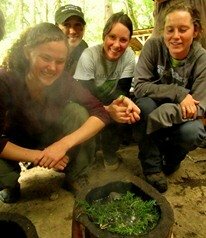 Our five-day survival course also includes lessons on survival traps and snares. 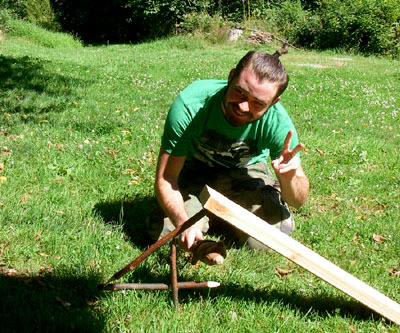 Here a student poses with his figure four dead-fall trap before testing it out. 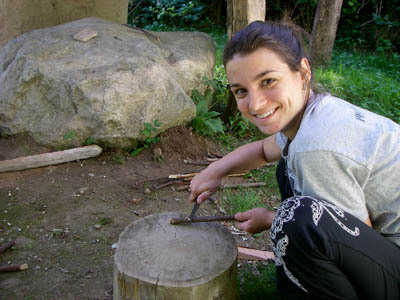 Survival skills are fun and empowering! Upon completing the course, our students can walk into the woods with new eyes and with the knowledge that they are not as dependent on modern tools as they once were. It feels good to know that you can meet your needs no matter what the circumstances are! Learn about our upcoming classes on the course calendar page!